This morning I attended the Fifth Annual WBBA Governor's Life Sciences Summit. The breakfast was great; the talks were okay. I do enjoy the stories about people who's lives were saved because of biotechnology and I agree that the focus of the summit, research and discovery are important, but I can't help thinking about the missing piece. This summer, I had the good fortune to attend three (or was it four?) conferences on science education. One of the most inspirational conferences was one on Vision and Change in Biology Education. This conference was co-sponsored by the National Science Foundation and the AAAS. It was a call to action for biology educators and many of the points and findings resonated deep in my bones. Then, I read the press release from the AAAS. I've just returned from two conferences that focused on educating students for careers in science and technology and what do I find here at the home fort? There's Chad writing a very nice series on science careers! I was a little puzzled by PNAS acryonym in his titles since to me, PNAS stands for "Proceedings of the National Academy of Scientists" and is a high impact scientific journal. But then I realized that Chad is a physicist and he might not know this. 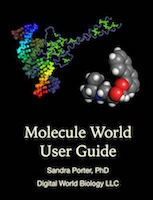 It's quite possible that PNAS isn't as big in the physics community as it is in biology. I don't remember learning about plasma when I took physics, but it's amazing stuff. 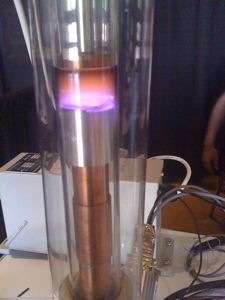 Last week at the Hi-Tec conference in Arizona, I got to learn how an electromagnetic field can be used to push plasma around a tube. Community college students get to play with the coolest toys! Here's some plasma contained in a small area. I'm currently at the Hi-Tec conference in Scottsdale, Arizona. (If you follow me on Twitter - www.twitter.com/@digitalbio - you may have seen me complaining about the temperature). It's an interesting conference, so I'm going to share some of the things that I'm learning. Dr. Travis Benanti and Dr. Steve Fonash from Penn State University are presenting an interesting session this morning on nanotechnology. There aren't many reports of 14 year-olds making scientific contributions. 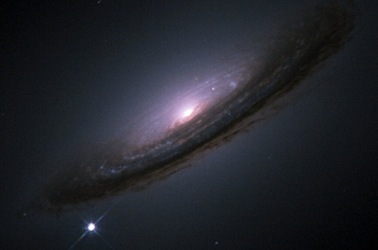 Even in the field of astronomy, Caroline Moore, the youngest person to discover a supernova, is a bit unusual.